Download Torrent "[dream-pop, indie-folk] (2018) BlackieBlueBird - Ghost River [FLAC,Tracks] ..."
Copenhagen’s dream pop duo BlackieBlueBird arrive with their debut album Ghost River. 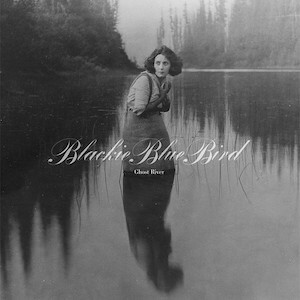 BlackieBlueBird are the vocalist Heidi Lindahl and the composer Nils Lassen; together they create delicate torch songs of reverb and echo that captivate the listener with resonating guitars, lap steels, mandolins and a choir of mermaids that sporadically embraces Heidi’s golden voice. The echoes of love and longing, hellos and deceiving goodbyes live within her unique and clear vibrato. Ghost River symbolizes a subterranean river of memories that flows beneath our cities while on the surface we live our lives behind walls, among buildings and clamorous streets, ever pursuing our hopes and dreams. Unaware that deep within we are influenced by the Ghost River we fulfill what lies in our destinies as tiny twigs floating along the flow of a gentle water stream. Resembling a dream, Ghost River is an album that dwells in a drumless, cinematic atmosphere filled with romantic soundscapes of yearning desire and melodic choruses that caress the ear in a liberating and cathartic way.